Managing Partner, Attorney-at-law, International Legal Center EUCON, President of the Ukrainian Business Association in Poland. Yaroslav Romanchuk focuses on the most complicated issues of corporate and tax law, transfer pricing, commercialization of IP rights objects and tax planning with the use of non-material assets, corporate restructuring and assets protection. He represents the interests of international and national corporations in the most complicated and high-profile corporate and tax disputes. Partner, Auditor, International Legal Center EUCON. Larysa Vrublevska advises well-known national and multinational companies on transfer pricing documentation with justification of contractual prices and introduction of transfer pricing control, as well as on tax planning and tax strategies. Larysa Vrublevska is head of the Transfer Pricing School and holds lecture courses of on the most sensible issues of transfer pricing. Specialization: tax consulting, tax planning, transfer pricing, business restructuring, accounting and tax accounting. 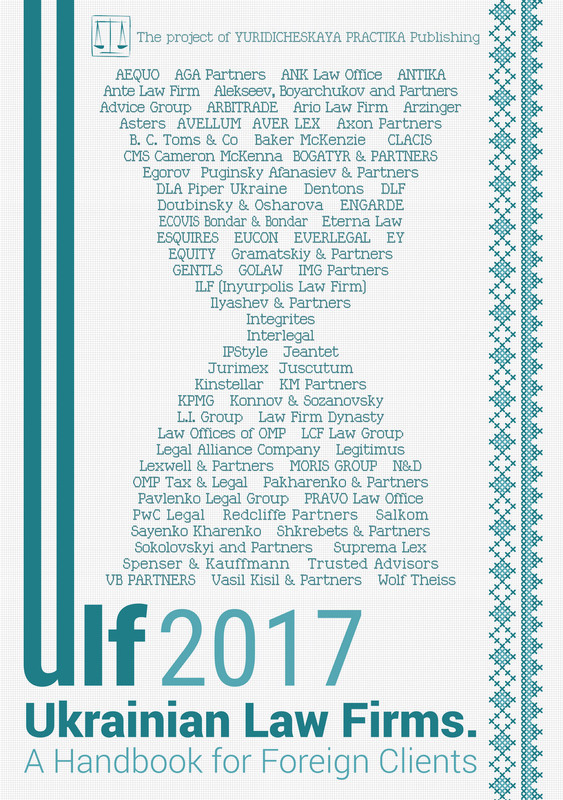 From 1 January 2017 Ukrainian tax legislation regulating transfer pricing has undergone changes, which generally can be evaluated as liberal and which were introduced in the interests of taxpayers. Here is the short list of changes. This is definitely the most expected business standard. Preparation of reports on controlled transactions and documentations for many small businesses, whose sum of activities fell within the criterion to recognize transactions as controlled, was quite burdensome. From now on transfer pricing is a prerogative right of taxpayers with more substantial amounts of income. The annual income criterion was increased to UAH 150 million (earlier it was UAH 50 million). The volume of transactions with one counterparty was increased to UAH 10 million (earlier it was UAH 5 million). Comment: yet the non-availability of controlled transactions does not mean a lack of attention on the part of controllers to a range of non-controlled transactions. Thus, for example, income tax payers with an annual income of at least UAH 20 million are obliged to increase their financial result before tax by adjusting by 30% the cost of goods, works (services) acquired from non-residents registered in countries included in the list approved by the Cabinet of Ministers of Ukraine. The increase in the taxable financial result is carried out also in case of costs accrual in the form of royalties for the benefit of non-residents. And it seems that it is possible to avoid adjustments only if a company prepares substantiation of price level under transfer pricing rules. In other words, you should either increase the tax base or substantiate the level of costs in documentation. From now on foreign economic transactions can be recognized as controlled not only on sales, but also on the acquisition of goods and/or services carried out via a non-resident commission agent. Economic transactions carried out with non-residents who do not pay income tax (corporate tax), including tax on income received outside the country of registration of such non-residents, and who may not be tax residents of a country where they are registered as legal entities can also be recognized as controlled. The list of business legal structures of such non-residents by countries (territories) shall primarily include British LLP companies. The current list of countries (territories) of low-tax jurisdictions and countries, with which Ukraine has not concluded any agreements including provisions on information exchange should be supplemented with a list of countries, with which such agreements were concluded, but competent authorities do not provide timely and full tax information exchange upon requests from tax officials. While this year any country (territory) is included in the said list of the Cabinet of Ministers of Ukraine, transactions with counterparties registered in such a country (territory) shall be recognized as controlled from 1 January of the following calendar year. In case of carrying out controlled transactions under a forward or futures contract, price comparisons shall be performed on the basis of information on forward or futures prices as of the date closest to the date of the respective forward or futures contract’s conclusion. If a controlled transaction is related to export and/or import of exchange goods, carried out on the basis of forward or futures contracts, then to substantiate compliance of such transactions conditions with the “arm’s length” principle, the price range shall be calculated on the basis of exchange quotations of corresponding goods for the decade preceding the date of the respective contract’s conclusion. At the same time, such an opportunity is provided to taxpayers subject to sending notification on such contract’s conclusion to the SFS of Ukraine within 10 days of its conclusion. In case of non-availability or inadequacy of information on individual comparable transactions to determine profitability indices, the financial information of legal entities can be used that carry out activities comparable to a controlled transaction, provided that there is information that the mentioned entities do not carry out comparable transactions with related parties. — It does not own directly and/or indirectly more than 20% of corporate rights in another legal entity or does not have a member (shareholding) legal entity owning a share of direct (indirect) participation totaling more than 20%. The right of taxpayers to calculate the profitability range on the basis of information on comparable legal entities not only for the reporting period, in which a controlled transaction was carried out, but for a few preceding years, is formalized. In this case, a weighted average rate of a profitability index is calculated for each comparable company, and the procedure for such calculation must be determined by the Cabinet of Ministers of Ukraine. Taxpayers are allowed to carry out independent adjustment of prices in cases when controlled transactions do not conform to the “arm’s length” principle, on the basis of maximum or minimum value of price ranges (profitability). At the same time, such adjustment cannot be made during verification of relevant controlled transactions. Taxpayers received the right to carry out adjustment of their tax liabilities according to the results of adjustment of tax liabilities by the other party of a controlled transaction, in the manner and under conditions stipulated by Ukraine’s international agreements on avoidance of double taxation. The deadline for submission of the report on controlled transactions was moved from 1 May to 1 October of the year following the reporting one. It is possible to correct errors by sending a new or specifying report to a controlling body. Comment: unfortunately, some weak points were not avoided. Legislative bodies, when changing the date of report’s submission, made no changes to related standards. A request to provide documentation on transfer pricing may be submitted after May 1 of the year following the year, in which controlled transactions were carried out. That means, prior to the deadline for submission of the report. Moreover, it is possible to make an independent adjustment of tax liabilities and to specify an income tax declaration without a penalty of 3% only up to 1 May and not to 1 October, which would be logical.